The Landcommanderij Alden Biesen is a state cultural centre, conference and seminar centre, part of the Ministry of Culture, Art & Heritage Agency of the Flemish Government. It is based in a historic castle with a European mission. Alden Biesen runs the biggest International Multilingual Storytelling Festival in Europe. 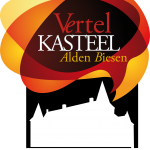 As “Vertelkasteel” (Storytelling Castle) the centre wants to develop its role as a knowledge and support centre for storytelling in Europe. 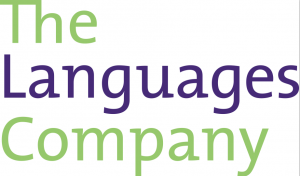 The Languages Company (TLC) was established in 2008 in order to support the National Languages Strategy in England. Its main activities relate to Language Policy, Language Teaching Pedagogy and resources for languages. It has strong links with all of the main national and international organisations supporting language capability in the UK, in Europe and in the world. The Limburg Catholic University College, Faculty of Education, is a Higher Education institution in Flanders, Belgium. KHLim is part of the reputed University Association Catholic University Leuven, which brings together 13 Higher Education institutions in Flanders. KHLim offers more than 40 bachelors and masters programmes in a diversity of fields, including health care, social work, business & commerce, education, science & technology and media & design. Tallinn University Haapsalu College is situated in a little resort town called Haapsalu on the north-western coast of Estonia. The curricula offered by Tallinn University Haapsalu College are based on regional needs: among them, a Master`s Degree course for Primary School Teachers. Other related activities include: training and counselling for teachers, students and families; gathering and systematising methodological materials, which provides teachers and students with the opportunity to be up-to-date with the latest educational developments, research and literature. 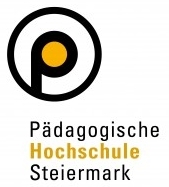 The University of Teacher Education Styria was founded in 2008 by fusing initial and in-service teacher training. It provides initial teacher training for primary and lower secondary schools and in-service teacher training for all teachers in Styria. The university has a network of primary and lower secondary schools in the area of Graz where initial teacher training students (around 400) undergo their teaching practice. Ouvir e Contar is an association of Storytellers founded in 1997. It was the first of its kind in Portugal and has being supporting the activity of several artists. It is responsible for projects involving storytelling in community and educational contexts. It works regularly with schools, libraries and theatres and some of them are responsible for the collection, cataloguing and registration of Portuguese folk tales. Politecnico di Milano – the largest Italian technical university – participates in the project with HOC-LAB at the Department of Electronics and Information. HOC specialises in methodologies, tools and developments in the field of eLearning: to date it has delivered highly innovative programs and solutions to more than 63000 students (aged between 5 to 18) from 18 European countries, Israel and the USA. HOC coordinates PoliCultura, a digital storytelling for schools project, with more than 26000 students of all school grades involved from 2006. HiOA on suurim ülikooli kolledž Norras, kus on umbes 16.000 õpilast ja 1850 töötajat. HiOA-s on üle 50 bakalaureuse õppekava, 25 magistritasemel õppekava ning pakub täiendõpet ja koolitusi erinevates valdkondades. Alates 1996 HiOA on tehtud erinevaid uuringuid traditsioonilise jutuvestmise vallas. Hetkel on HiOA-s käimas kolm erinevat uuringut, kus keskendutakse traditsioonilise jutuvestmise rakendamisele õppetöös. Uuringute praktiline eesmärk on tutvustada õpetajatele vastavat metoodikat ja luua programme erinevatele sihtgruppidele.